To my delight, this turned out every bit as good as expected. 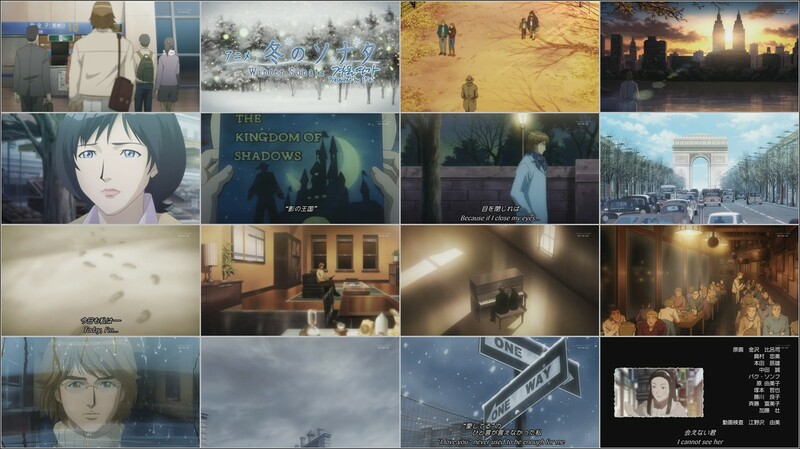 There wasn’t this conventional and predictable feeling to it that almost all other anime of this season have, both episode 1 & 2 simply stood out in terms of directing and mood. I felt a whiff of old-school here and there, most likely it’s Hiroyuki Kitakubo‘s influence, just like the slapstick comedy and hyperactivity in some scenes. They also go a little more cartoonishly than in your average anime at times, might be also Kitakubo‘s doing. I’m wondering how much he’s been involved in this anime, so if he just planned out the scenario with Ito and Minakami or if he’s still something like Ito‘s consultant in the background. There are rumors (or should I say speculation?) 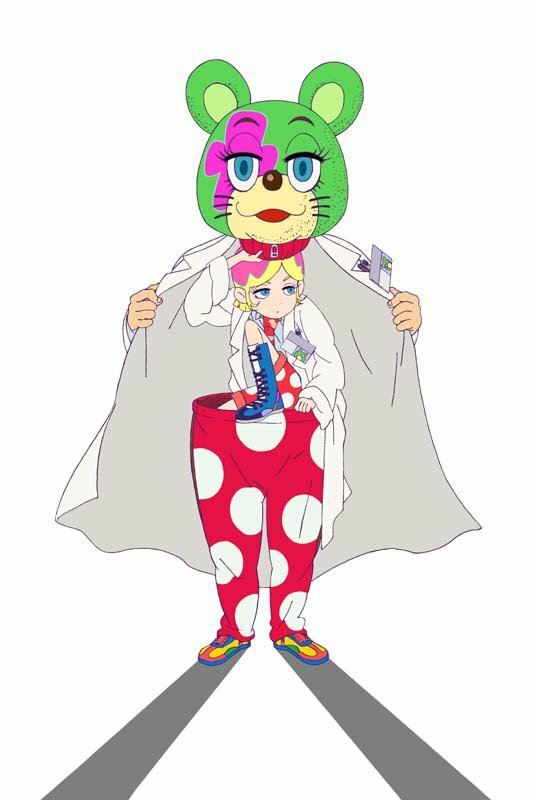 that Kitakubo was actually supposed to be the director of ‘Occult Academy’ at first, but then replaced by Ito due to various reasons. I guess that ‘Planning Assistant’ would be an appropriate title for a director who was kicked out at an early stage, so it might as well be true. In this sense it wouldn’t be surprising if Osamu Kobayashi‘s harsh criticism of the first episode was based on frustration of being fired from the project (together with Kitakubo). Let’s hope that Kitakubo has more luck with his ‘Lone Wolf and Cub’ movie adaptation, though I haven’t heard anything new about it for quite a while, a bad sign? Either way, Ito‘s tight directing made the first episode consistently entertaining through enjoyable pacing and a high density of fun and interesting cuts. And I thought it was quite convincing how he connected the comedy parts with the more serious scenes (such as Maya’s talk with her father, the dramatic climax of the first episode) with perfect comic timing, an underlying sense of self-irony and a good feeling for accumulating momentum. Takahiro Chiba did a good job with the animation throughout the first episode with some nice bits of acting here and there, although I never really felt that it was on the level of ‘Kamichu!’ #1. 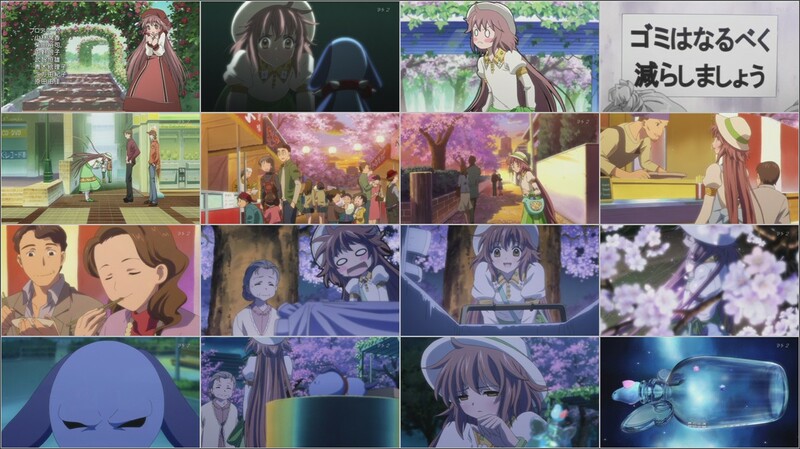 There were a good number of Madhouse animators involved in the first episode and OP/ED, most notably Tatsuzou Nishida (action animation director of ‘Summer Wars’, he did the cut in the OP where the cloud above ‘Occult Academy’ rips open) and Mieko Hosoi (character designer of the ‘Hashire Melos’ part of ‘Aoi Bungaku’). 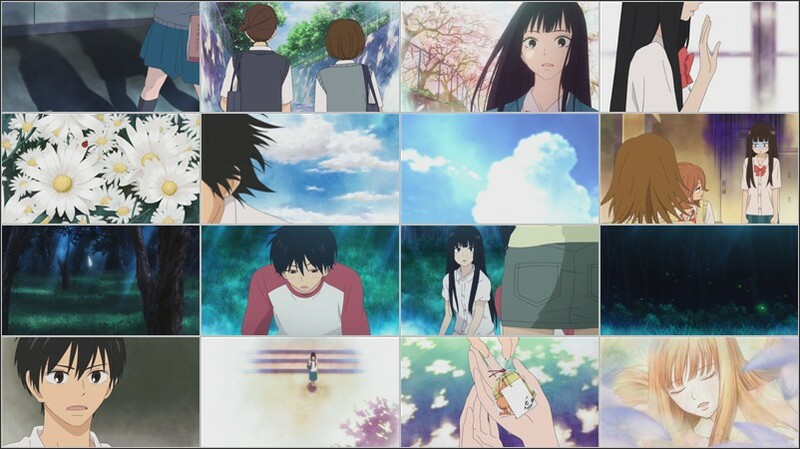 Even Mamoru Hosoda helped out (credited with his usual pseudonym ‘Katsuyo Hashimoto‘), he made the photographs that are used in the ED. The staff list of the upcoming episodes shows that some more Madhouse people are going to participate, I’m particularly thrilled that they even brought Ryosuke Nakamura (‘Mouryou no Hako) on board. XEBEC was in charge of episode 2 which I liked almost more than the one before. The character dynamics were just perfect here, it was a real treat to watch Maya and Fumiaki interacting. Fortunately, the absurd plot was presented with enough self-irony to make it an enjoyable watch, too much seriousness would definitely hurt the unique atmosphere. 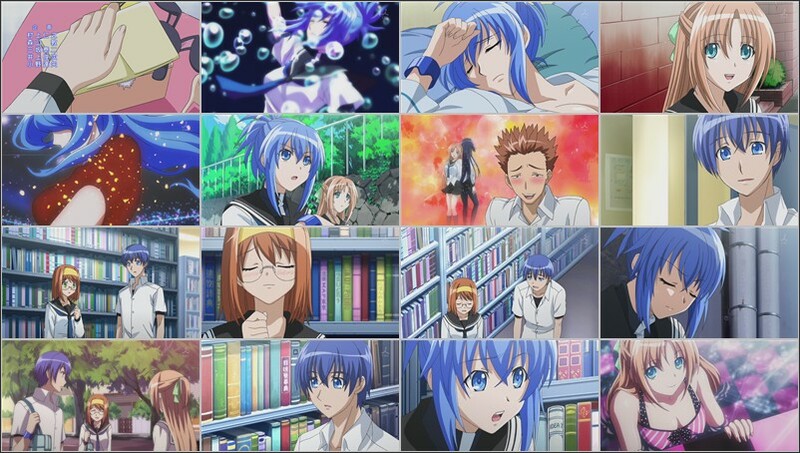 All in all, ‘Occult Academy’ could become the strongest offering of the ‘Anime no Chikara’ project so far, at least if they manage to sustain the quality of the first two episodes to some extent and make good use of the interesting scenario. 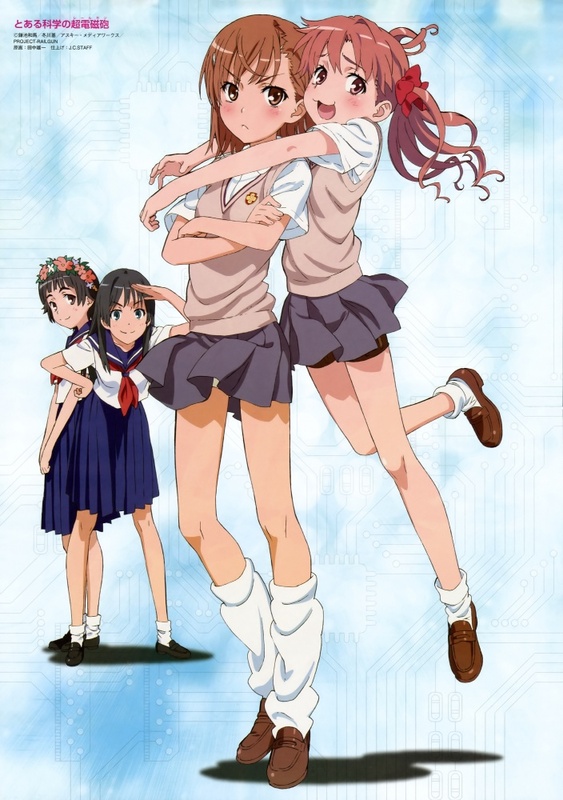 Hardly the most original anime this season, but overall a through and through well-produced and fun comedy series nevertheless (the dirty humor may not be to everyone’s taste, though). The first episode was nothing out of this world yet directed with enough technical proficiency to make it watchable. What really stood out was the very good animation quality (for this kind of anime), you can literally feel the animators’ eagerness to make the animation interesting in the way the shots are framed and the characters and camera move. Studio GoHands is an assemblage of lots of great animators, so it’s a pity that they produce anime which don’t make use of their real prowess (but there’s Mardock Scramble, of course). 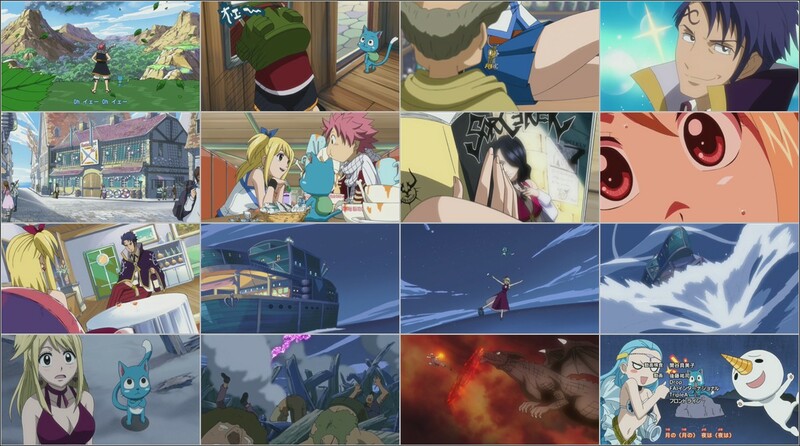 Opening and ending were the actual highlights for me, it’s where you feel the animators’ power strongest. 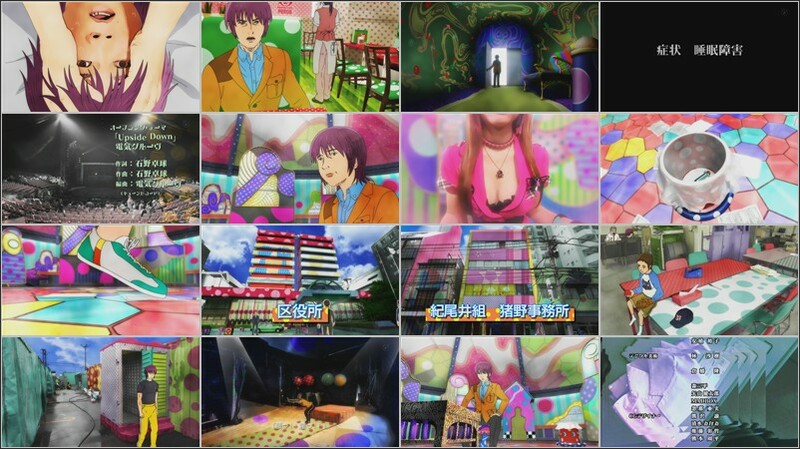 The opening features animation by Hiroshi Ookubo (he did the long camera motion at the end), Kouichi Kikuta (fight scene), Tatsuya Yoshiara (not too sure what he did, but probably the beginning) and Shingo Suzuki. 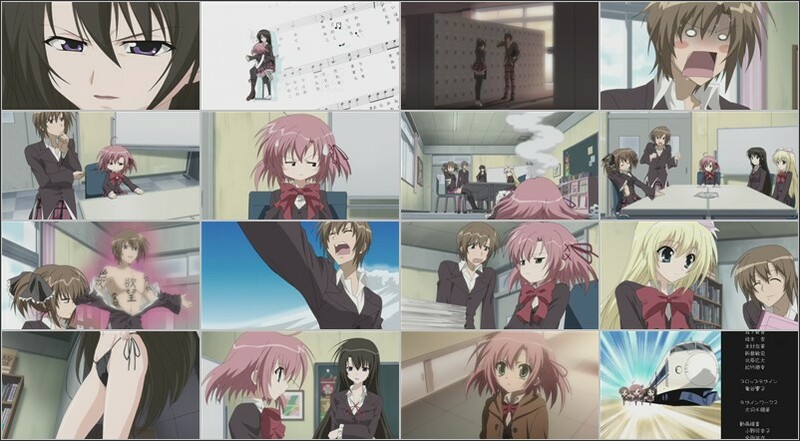 Kouichi Kikuta directed, storyboarded, supervised the animation and created the color concept of the ending, plus he even did some key animation. Incidentally, Kikuta was the animation/layout director for episode 2 and he drew all the layouts himself (the same was the case with ‘Princess Lover!’ #2), so the volume of work he’s already done on this series is quite amazing. A notch better than I expected, both on a visual level and script-wise. 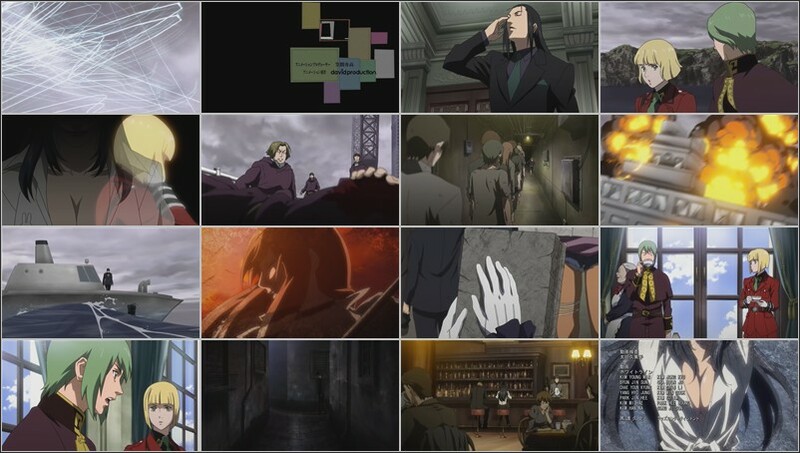 The dense atmosphere, setting and use of sound reminds me of ‘Ghost Hound’, but without really matching that show’s quality in terms of directing and execution. I like how the writing doesn’t give too much away and has a good sense of mystery to it, so ‘Shiki’ could well be the first horror/mystery anime in a long time that works how it’s supposed to work. The first episode was handled by Yasuro Tsuchiya (director), a name I’m not familiar with, Yasunori Ide (storyboard) and Yasushi Shingou (animation director). The animation was solid with a few scenes of better quality sprinkled throughout (particularly Seiya Numata‘s parts had some nice linework), but overall nothing to be excited about. I was pleased with the designs, though, and the director was competent enough to leave an impression on me (the screen’s texture looked surprisingly good here and there). 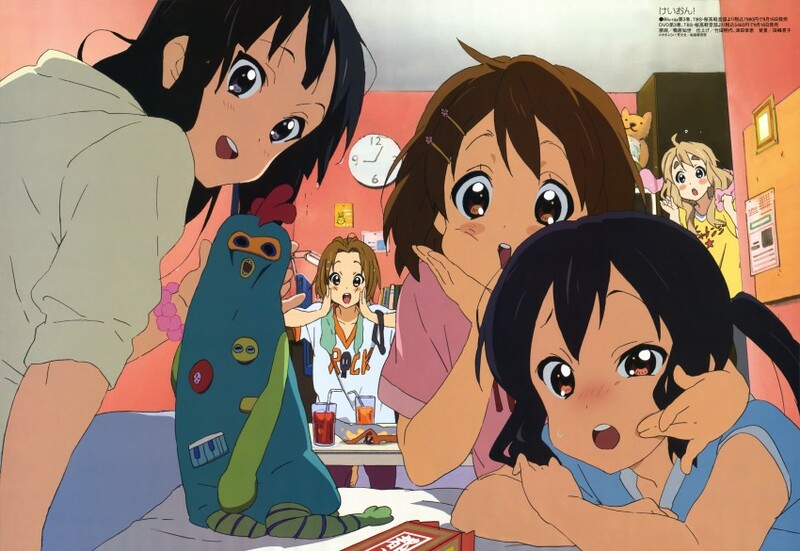 Seiya Numata directed and storyboarded the rather low-key ending, his close companion Kyuuta Sakai animated it. I hope for another treat similar to their maniacal Needless #13. The ending animation of ‘Needless’ was also a joint effort of those two after all, hence I can well imagine that Numata and Sakai might pop up on the actual show as (animation) directors sooner or later. 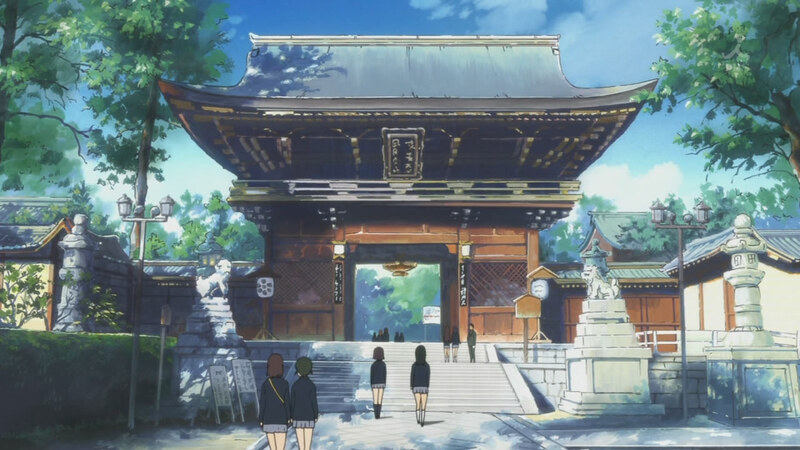 ‘Shiki’ is certainly not the best thing out there right now, but the first episode was enchanting enough to make me want to check out some more, hopefully the decline in quality in the coming episodes won’t be too significant. Basically, J.C. ‘copy & paste’ standard stuff, so you should already be familiar with the characters and most situations if you’ve watched a few other anime of their lineup. However, there was actually something new and I even liked the idea, namely breaking the fourth wall. Compared to the lackluster dialogue between the characters, some of the narrator’s comments were actually witty, e.g. the scene in the bathroom where she apologizes for the ‘bad’ fanservice. 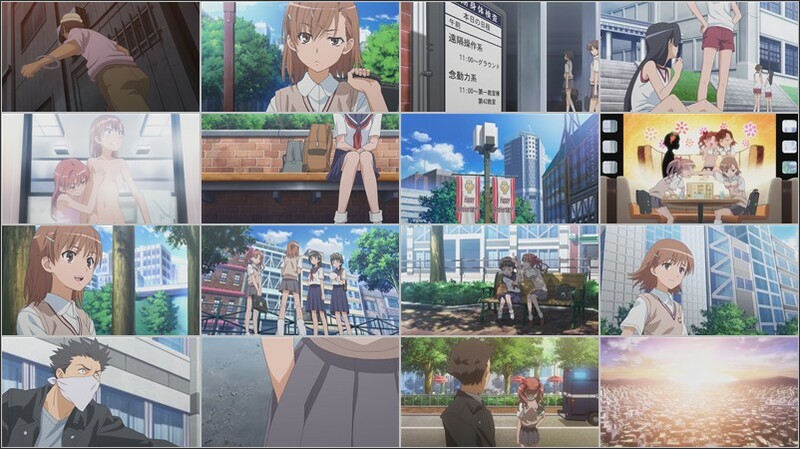 The scene direction and animation weren’t as polished as in Tatsuyuki Nagai‘s anime (Toradora, Railgun), yet good enough to keep me watching. I was surprised to see Gainax animator Megumi Kouno on the first episode, even though I knew that she had been involved with J.C. before (‘Nodame Cantabile’). She did the only real stand-out scene – both in terms of style and animation – in the first episode (the whole pumpkin-bicycle-carriage chase scene). As far as episode 2 is concerned, the directing was still nothing to speak of, yet the animation throughout made a better impression than in the episode before. It was a solo (1st) key animation work by Hiroshi Tomioka, who is famous for his extravagant depiction of hair, though his trademark isn’t that striking here, maybe there wasn’t enough time for extra polish. 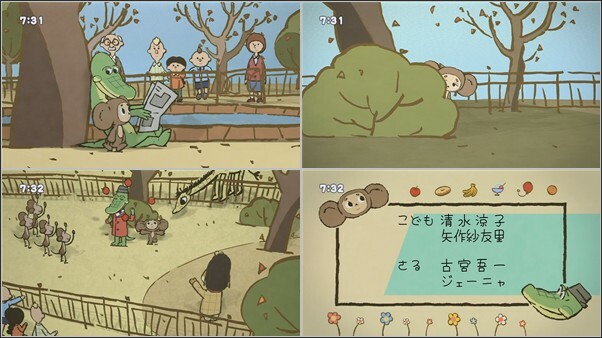 Tomioka has probably been influenced by Hironori Tanaka‘s way of animating hair, who incidentally happens to be the storyboarder and animation director of episode 3. 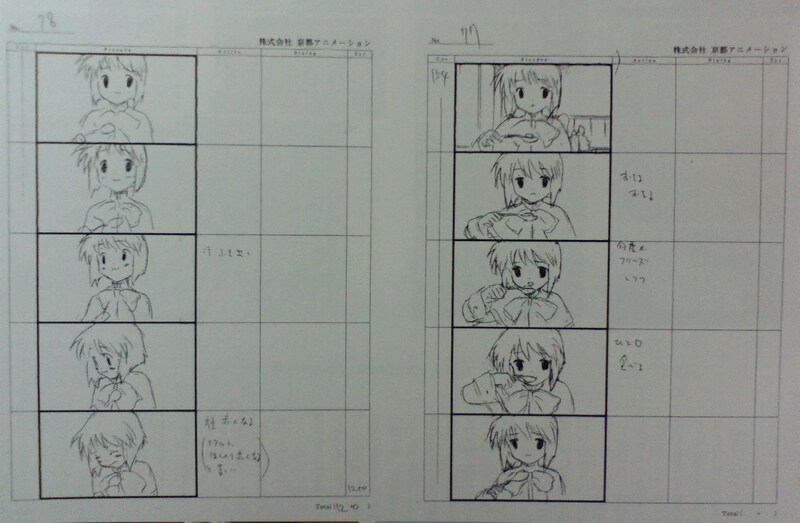 Up to now, Tanaka‘s only storyboard work on TV anime have been his solo key animation efforts (Saki #20, School Days #6, Akasaka #3), so I can well imagine that he also did the key animation for episode 3 all alone. By the way, Noriaki Akitaya (co-director of the upcoming ‘Bakuman’ anime) is directing, I wouldn’t be surprised if episode 3 outclassed #1 and #2 by far. The first episode was basically what I expected: gory action, lots of zombies, excessive fanservice and nothing much inbetween. 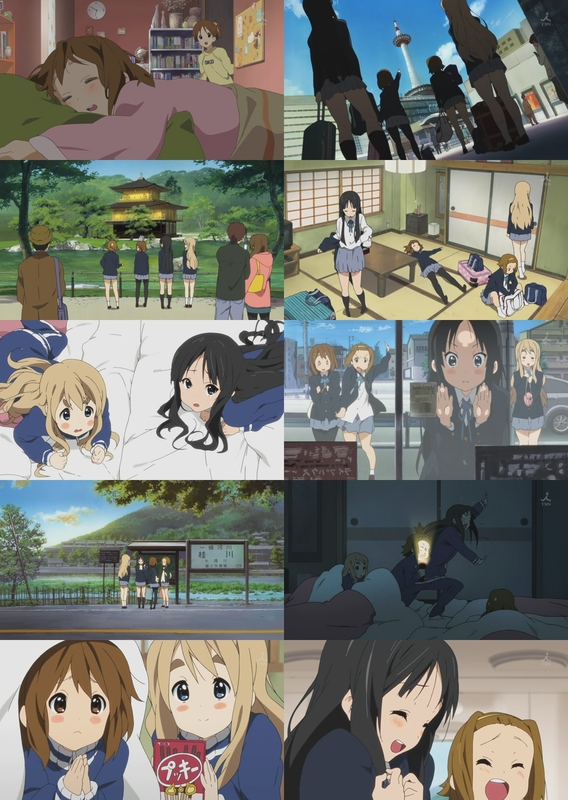 Usually not a series I’d watch, but one can’t deny that the quality is fairly high. Arakaki‘s direction really shines in the action scenes, particularly the framing and camera work left an impression. Araki is quite good at this (or Madhouse in general), I mean making up for the insufficient presence of talented animators by strong compositions and such. Not that the animation is bad or something, there are doubtlessly some moments of superbness here and there. The directing and storyboarding are reminiscent of Takayuki Hirao‘s style, even more so than in Araki‘s previous works. Not really surprising since Araki and Hirao have had a largely similar career up to now, which goes as far as even starting out on the same show and in the same capacity. While Araki has been exclusively working for Madhouse since the very beginning, Hirao changed over to ufotable after some years, though. Hirao directed episodes for Araki’s previous works, maybe he’ll show up on this one, too. On the plot side of things, there’s not much to say, I guess. However, judging by a recent interview, Araki seems to be well aware that most people don’t care much about the story, but come for the breasts instead. Admittedly, it wasn’t really the blunt fanservice that bothered me, but rather the attempt to include some more serious drama scenes. Didn’t really work for me. Overall, HotD is a mixed bag for me, on the one hand its technical quality surpasses most similar anime, on the other hand there aren’t many other aspects worth appreciating. 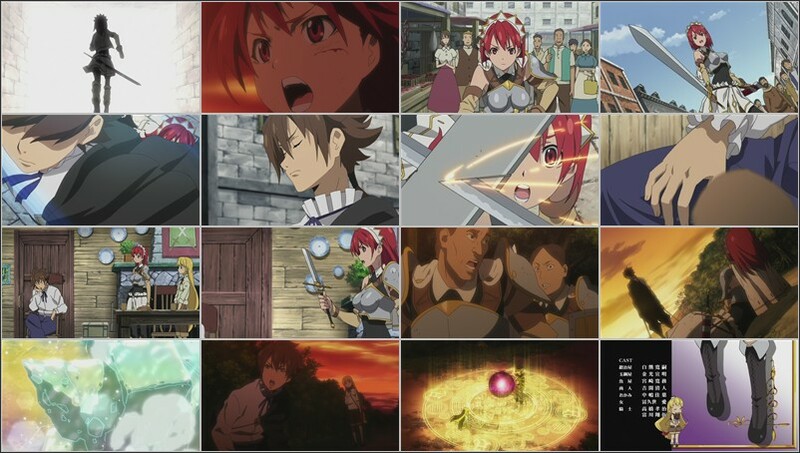 I’ll keep watching for now, if only to find out whether there’s more to it than slaughter and fanservice.